﻿ What is Bitcoin Cash? | Is this the real thing for trading and earning? Once upon a time, well, not that long ago actually, a person (or persons) going by the name of Satoshi Nakamoto developed Bitcoin, a digital currency with the sole purpose of eliminating all problems involved with standard cash or credit card transactions. This led to a system with no bank or financial middlemen involved, thus being completely decentralized and independent of any government ownership. The whole thing is based on smart contracts, functioning on ‘if-this-than-that’ logic, sort of like a domino effect, where one action opens doors to another, executing the next action. From then on out, a blockchain ledger system which follows a set of rules monitors all relevant digital information – in this case, financial transactions stored in block files. In the summer of 2017, another branch of Bitcoin (BTC), Bitcoin Cash (BCH) was developed aiming to increase the number of transactions which can be processed. What differs between the two is the increased block size from 1MB to 8 MB and the removal of the Segregated Witness process designed to free space so more Bitcoin transactions could be added to the chain. Now that we’ve covered the very basics, a more detailed analysis of Bitcoin Cash follows. In the next few paragraphs, the specifics of Bitcoin Cash will be discussed, focusing on its features and practical use. Stay tuned! Like Bitcoin, Bitcoin Cash is also a crypto- or digital currency. However, Bitcoin Cash came into existence on August 1st, 2017. What’s interesting about this cryptocurrency is that it was started through a disagreement which led to something called a hard fork of the Bitcoin network – resulting in the Bitcoin Cash fork. What does this exactly mean? As explained in the introduction, the Bitcoin network is governed by a set of rules, accepted by everyone using the Bitcoin protocol. Such a deal is called a consensus. If a group of people does not agree with the rules, a breaking with consensus will occur causing a hard fork in the blockchain. Such action leads to the creation of a new coin. Specifically, a chain of transactions will at some point branch out and a new currency will be born. But keep in mind that a hard fork is only successful if there are enough people using the coin. Anyway, that very thing happened on August 1st, when a new set of rules was implemented by individuals. Certain miners, developers and users decided to do things differently and that new vision resulted in a new blockchain, equally valid as the former. The difference is that Bitcoin moves 1MB per block, while Bitcoin Cash moves 8MB, which results in an increased number of transactions on the network. Let’s concentrate on storing areas a bit more. As is the case with Bitcoin, your Bitcoin Cash is stored in a Bitcoin Cash wallet. They come in different types: hardware, mobile, desktop and even paper. Be sure to note you store each currency in its own wallet – you cannot use a Bitcoin Cash wallet to store Bitcoin, although there are some Bitcoin wallets that support Bitcoin Cash, e.g. Jaxx. One should also keep in mind that Bitcoin Cash should not be sent to a Bitcoin address even though their format is the same. It is advised not to use the same address more than once due to possible breach of privacy. But cheer up because this may not be a concern in the future for there are plans to make an attempt at changing the format. Some recommended Bitcoin Cash wallets are Ledger Nano S (hardware wallet), Coinomi (mobile wallet), Electron cash (desktop and mobile wallet), Trezor (hardware wallet), Jaxx (mobile and desktop wallet) etc. So, what now? You’ve got a lot of information about some technical stuff, but where’s the use to all of this? The big difference between Bitcoin and Bitcoin Cash, you know, that increase in block size from 1 MB to 8 MB, resulted in some pretty fine benefits. Transactions are now much faster – it is possible to transact in seconds and get a confirmation within minutes. They are simple, stable and secure with low fees and altogether we’re talking about a reliable network that runs smoothly, without congestion. The fees we’re talking about right here refer to the amount added on top of the value you’re sending in a transaction, which goes to a miner. Some of you may or may not know or remember that back in 2015 Bitcoin started hitting its blocksize limit. It was processing as many transactions it possibly could due to the limit programmed into the code. The transaction space became limited, thus making the fees of the transaction rise up as users competed to get into that space. Over the years, that’s gotten worse and worse with fees going from 5 up to 50 cents or even higher in order to make a transaction on the Bitcoin blockchain. That’s where Bitcoin Cash steps in with its much higher maximum block size limit meaning the fees are once again 5 cents or less. From a consumer point of view, Bitcoin Cash most certainly has the advantage, wouldn’t you say? It’s interesting to note that Bitcoin Cash is thought to more closely represent the ideology of its creator, Satoshi Nakamoto. His (let’s presume it’s a he) writings reveal he added a space for free transactions in every block to Bitcoin, but such a thing is no longer there. He set aside 50kB saying „We should always allow some free transactions.” Today, if no fees were paid for a transaction, it will not get processed. Bitcoin has a system of a few transactions with a high amount of fee per transaction, but Bitcoin Cash reflects Satoshi’s vision of a high number of transactions with very low fees. Now when we have the where and the what covered, let’s talk a little about the how much. You know, the price. The Bitcoin Cash price is, as any other standard currency, the value of Bitcoin Cash. The price, or let’s call it the buying power of Bitcoin Cash, is determined through market forces of supply and demand, just like the buying power of the euro, the Japanise yen, the U.S. dollar etc. A crucial difference is that Bitcoin Cash trading never ceases, the exchanges never close. There is no closing price for the Bitcoin Cash, it is a rolling average. Shifts of 20% in price variation are possible in less than 24 hours, which makes this currency an atypical, out-of-the-ordinary investment. Its value will not only go up and down, but it will do wildly up and wildly down and then up again. Bitcoin Cash price, like prices of other cryptocurrencies, can vary, but that is completely normal. Unlike the foreign exchange market, where trillions of dollars are traded every day, cryptocurrency markets are thin, with less liquidity, which makes them volatile. It may sound shocking having a let’s say a 30% drop in value in just one day (mind you, we are talking about extreme situations here, but for the thrill of it, it’s worth mentioning), but it takes a day for that value to rise up again, even much, much more than 30%. After the Bitcoin Cash fork, it took only a blink of an eye for Bitcoin Cash prices to increase by more than 100%! The thing is that these markets don’t function as traditional currency markets where the spread, i.e. the difference between the buy price and the selling price, is sometimes as low as zero. 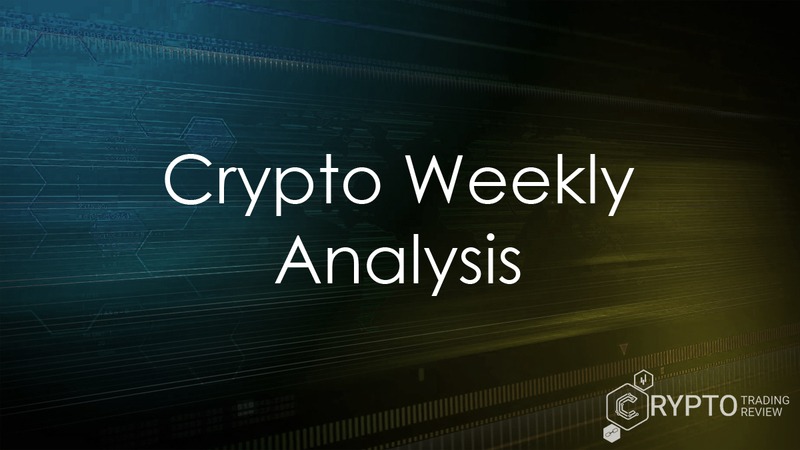 In the cryptomarkets, the spreads often vary in the range of several dollars between the bid and ask prices and that makes it a very interesting and dynamic business! Its current market capitalization is $28,050,071,156 with the 24h volume of $363,861,000 and a price of $1,655.94 per 1 BCH. It is the 4th most profitable cryptocurrency – and there are over 1300 existing cryptocurrencies at the moment! By all means, stay informed, follow the prognosis and trends of cryptocurrency markets and prices, but keep your wits about you. There are many websites that keep track of the change in currency value, but also note the total sum of all currently existing Bitcoin Cash, their market value (market capitalization), the Bitcoin Cash price, number of transactions in the last 24h and per hour, the amount of BCH sent, the average transaction value and fee, current block time and size, difficulty, hash rate, wealth distribution, active addresses etc. All relevant information is regularly updated and available. When you want to purchase something with Bitcoin Cash, you broadcast a request which is received by all computers on the Bitcoin Cash peer to peer network. The owners of these computers are called miners. They collect the most recent requests into a block which is then run with the previous block through a set of calculations called hash functions. To sum up – a lot of sophisticated math stuff which applies not just to Bitcoin Cash mining, but to mining of any other cryptocurrency, applies to this one as well. But, let’s get back to our main two coins, the Bitcoin and Bitcoin Cash. Both networks use the same „proof of work“ algorithm thus allowing miners to shift back and forth between the two block chains and mine whichever one is going to be most profitable. If they switch to the original Bitcoin network and Bitcoin Cash doesn’t have a sufficient number of miners, it could experience slower block times. The very thing happened after the Bitcoin Cash fork in August. 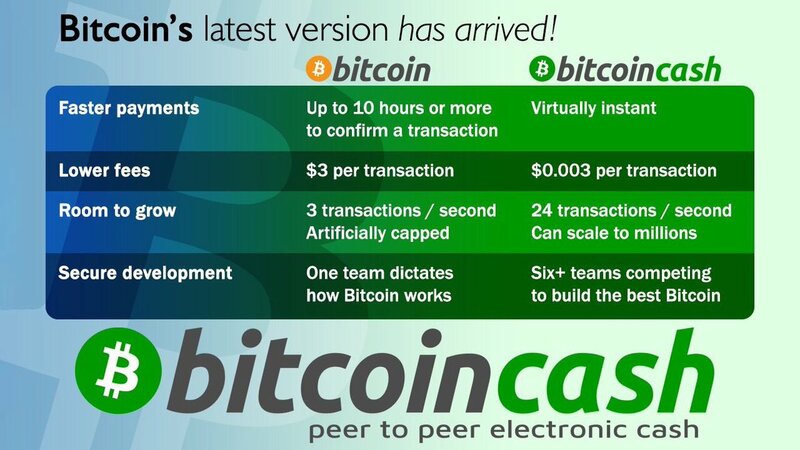 But, since Bitcoin Cash has a higher blocksize limit, the transactions will pile up and when a block is finally found, all of those transactions will get added and processed. If Bitcoin Cash becomes more profitable to mine, miners could switch to it to make more money meaning the original chain with fewer miners could have slower blocks. Those transactions that pile up won’t be able to get through because of that 1 MB transaction limit. So, if that blockchain starts seeing very slow blocks, congestion could be an extremely serious problem completely slowing the network because of the limited block size and the difficulty which adjusts every 2016 blocks. The level of difficulty adjusts to the time it took for the blocks to be discovered – if it took less time, the difficulty goes up, but it goes down if it took more time. It’s a very flexible system, depending on the Bitcoin Cash mining power involved. Having covered this, one might understand why Bitcoin Cash mining would be attractive to some. Earlier it was pointed out that the price of transaction fees dealing with Bitcoin can get pretty high. Switching to Bitcoin Cash mining may actually be in the miners’ best long-term interest even with the price of a loss in the beginning. When the split occurred, Bitcoin Cash had far fewer miners and was quite difficult to mine and wasn’t even profitable. Actually, less than 20% of Bitcoin miners were rooting for the split. It was a hard start with such a low number of individuals to count on at getting the job done. But, keeping the Bitcoin Cash mining alive keeps the currency alive, so one needs to mine to keep the network working smoothly and not to cause any slow blocks. Having faith in the Bitcoin Cash fork, being committed to the deed will surely pay off in the long run. Bitcoin Cash price has risen immensely since the summer of 2017, making it one very powerful digital currency. And remember what we said earlier – Bitcoin Cash relies on a high number of transactions with lower fees. The fees serve as a reward for the miners for keeping the system in function volunteering their computing power to maintain the security of the Bitcoin network. Miners also get rewarded with newly minted bitcoin, but since the amount of newly minted bitcoin will drop over time (since this is a fork of Bitcoin, its limit is also 21 million coins), miners will have to rely more on transaction fees for their income. They are lower in value, but higher in quantity thus meaning more miners get a chance to be paid. There is more than one way to get your hands on Bitcoin Cash. If you weren’t a proud owner of Bitcoin before August 1st and didn’t receive your free, equal amount of Bitcoin Cash, you can always get them for a price. Hooray! For the actual buying and selling of Bitcoin Cash, there are several possible ways. One of them is from person to person through a digital or physical transaction. The second option is dealing with an exchange. Imagine it as a virtual meeting place designed for buying and selling BCC (and all other cryptocurrencies, for that matter) at an agreed market price (something like a stock market). As up to now, there are very little exchanges that allow Bitcoin Cash to be bought directly with a credit card or bank account so you will need to trade for it. One of the possible ways to get Bitcoin Cash is using cex.io to buy Bitcoin directly. If you’re new to cryptocurrency or just a novice in Bitcoin and if you want to invest in Bitcoin Cash, cex.io is one of the easiest ways to do it because you can buy and trade all within one platform. The interface of cex.io is very simple, easy to follow, offering a fixed or desired amount you want to buy, expressed in 4 different standard currencies (USD, EUR, GBP, RUB). Once you have done so, you can trade Bitcoin for Bitcoin Cash simply going to ‘trade’. The second, a bit more complicated method is to buy Bitcoin at a platform exchange and send it to another exchange account where you are allowed to trade it for various other coins. 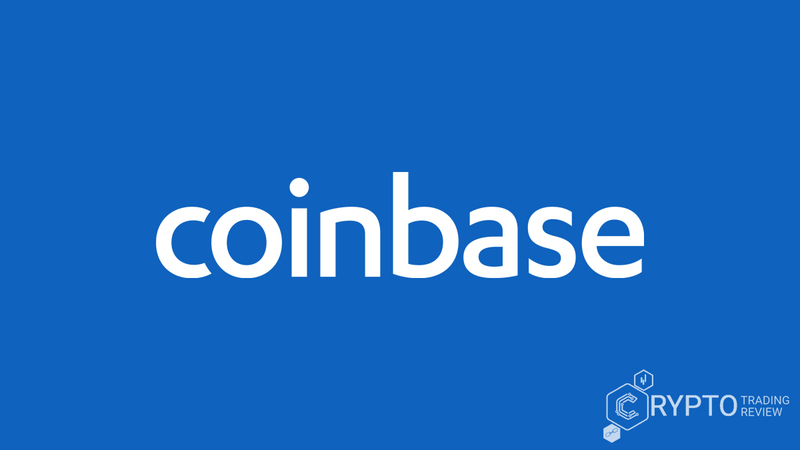 For example, many people use Coinbase and claim it to be one of the easiest to use. Once you have set up your preferred amount of Bitcoin and clicked buy, it is stored in your wallet. For the next step, Bittrex is recommended as being a highly used, big exchange providing a wallet and trading system for hundreds of coins. After opening an account on Bittrex, you can deposit or withdraw Bitcoin (or any other cryptocurrency, but we’re focusing on this one right now). By choosing to withdraw Bitcoin from the first exchange, and send from the first to the second, after a successful transaction, you trade it for Bitcoin Cash following simple guidelines. Mind you, Bittrex adopted the name BCC for Bitcoin Cash. At the moment, there are several exchanges with top raitings and some were already mentioned, but we won’t let that stop us from listing them and informing you which currency traiding pairs are available on some of those exchanges, visible in the brackets: Bitfinex (BCH/BTC, BCH/ETH, BCH/USD), Bittrex (BCH/BTC, BHC/BTC, BHC/USD), Kraken (BCH/BTC, BCH/EUR, BCH/USD), HitBTC (BHC/BTC, BHC/ETH, BHC/USD), BTCBOX (BHC/JPY), Changelly or ShapeShift (each allow trading with at least 30 different altcoins), BitBay, Kex, Coinfloor, Evercoin, etc. It’s a good idea to store your coins on a Ledger or on an exchange using their provided wallet – remember, you cannot store it in a Bitcoin wallet! On the other hand, some recommend using a blockchain wallet as a safe option for storing both Bitcoin and Bitcoin Cash. Congratulations, we’re done! 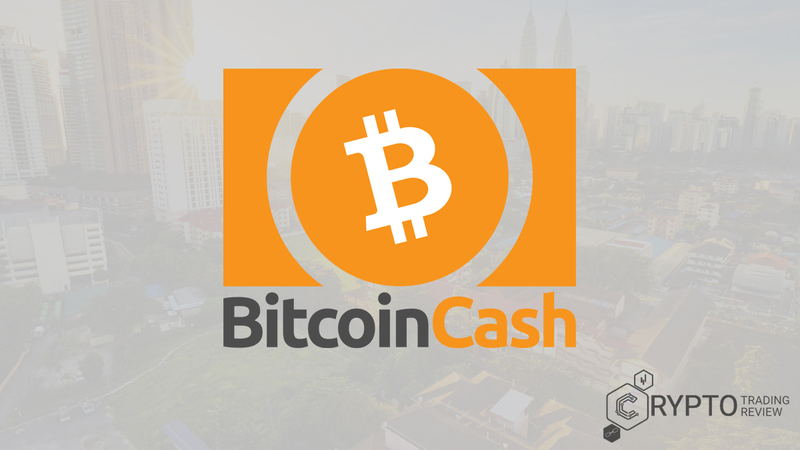 The focus of this article was to present some of the main information concerning the development and evolution of the Bitcoin Cash. From its development till now, it has managed to gather up a decent amount of users who recognized its market potential and decided to invest their time and computing power for a better future of this cryptocurrency. Skeptics were present at the very beginning and always will be for that matter, favoring one cryptocurrency over the other, but that’s just what that particular person thinks or believes. You decide for yourself. Some final words should be those of wisdom pointing out to stay safe, calm and informed. If you’re gonna get into this business, be sure to keep your Bitcoin Cash in a Bitcoin Cash wallet and keep an eye on your wallet and back it up. Don’t freak out after seeing drops in price value, it’s just how things are in the world of cryptocurrencies – it’s all a big fun rollercoaster. And of course, follow the news, trends, keep up to date with a sharp eye because you know what they say, Bitcoin Cash is the future. We can help you out with all of that, so check out our other articles on this website.